No other mobile operating system is used as much as Android. I wouldn’t for a second argue that Apple has a die-hard fanbase that will seemingly support the fruit company for a very long time, but Apple also limits its software to only its own hardware. Jobs’ once famously took a jab at Microsoft with Bill Gates next to him during a rare sit-down interview and said something to the effect of he’s always thought that a great hardware company should use its own software and nobody else’s. While not a direct stab at Gates and his corporation, it did passively suggest that the hardware companies that were choosing to run the Windows environment weren’t great at producing hardware. And that’s also going to hurt Microsoft as a whole. So as Apple thinks of itself as a hardware company with great software for nobody else’s use but its own, it’s apparently within Jobs’ vision to concede running on the most devices for just catering to themselves. Similarly to Microsoft, Google is not a hardware manufacturer, instead choosing to distribute its software to all the manufacturers that want to use it. There’s no shortage of them either—Samsung, HTC, Huawei, Sony, OnePlus, Lenovo, Micromax, ZTE—you name it, they’re all using it. Most people who buy phones that run Android aren’t too concerned with the oodles of features that it comes with. As long as the software offers the all-important portal to the internet, the time and date, access to the apps that they want to use, then that’s about as deep as the average human will delve. But the Android partisan might also know all about the status bar that stretches the top of the screen, the way the notifications can help draw attention to something that’s urgent, the Quick Settings panel that allows for more efficient access to often used toggles, the cute Dock with the most relevant icons ready to tap, or the home screen that acts as the mobile desktop itself. To know everything that Android has to offer requires a lot of sitting down and learning. But also to make the study sessions longer, the Android operating system extends outside of Google Android. There’s a whole other side to Android out there that’s based on the Android Open Source Project, the same kernel that Google Android is using as a foundation. Third-party developers are creating custom software that is based on Android but comes with different features, a new design, altered layout, and could be just what you’re looking for if the stock version of Android hasn’t managed to hit the nail on the head for you on a personal level. Before you can even think about what custom ROM you want to get installed though you’ll need to think about swapping the stock recovery image that is installed on your device right now for a custom one. The only custom recovery image worth installing today, assuming that it’s available for your device, is Team Win’s TWRP Recovery. A group of four guys is continually developing it, and it’s being maintained by many more folks on top of that. There will also be some custom ROMs that request it as the custom recovery you should have installed before going ahead with the installation of the custom software, so it’s always a good idea to install TWRP if you have more than one custom recovery image available to you. The custom recovery images available in this guide are only to be installed on the Samsung Galaxy J5 LTE (SM-J500F) smartphone. Most devices have a custom recovery image developed specifically for it, and you shouldn’t install one that is intended for another device unless advised it is okay by a professional. 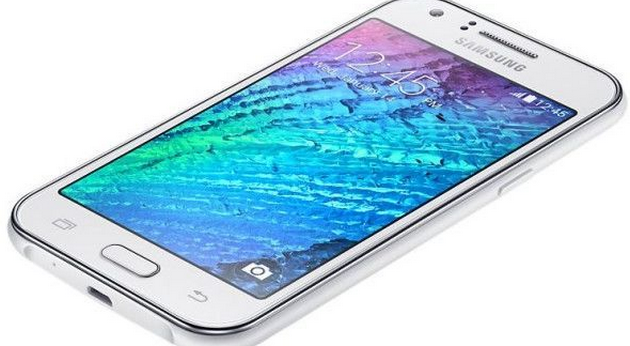 The codename for the Samsung Galaxy J5 LTE (SM-J500F) TWRP Recovery image is “j5lte.” You will see that codename in the TWRP image file path and also from your About Device menu so you know you are flashing the right file on the right device. You can find the device tree files over at its GitHub page. You can find the official support thread for this specific custom recovery image on the XDA-Developers web forum.